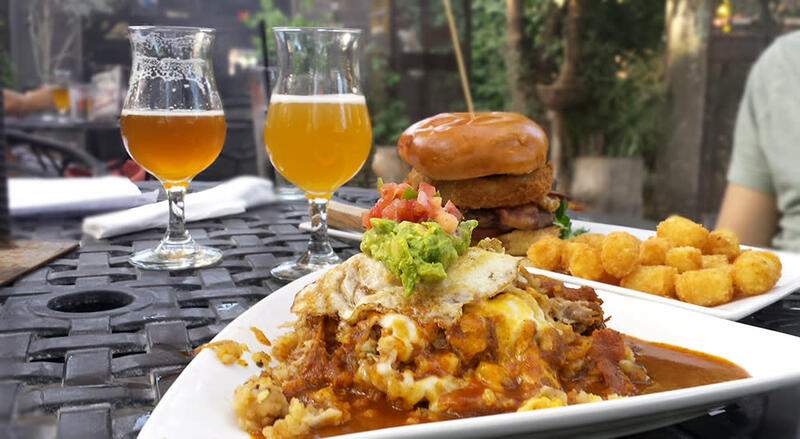 As an amateur foodie and beer enthusiast, it’s my mission to explore the hops and hospitality of Phoenix’s breweries. In my most recent adventure into the local beer scene, I enjoyed the company of great beer and birds at The Perch Pub & Brewery in downtown Chandler. This pub may be tucked into an alley corner across from an urban city center, but the first step underneath the restaurant’s sign transports visitors to an outdoor garden paradise. The two-story setup features a lower courtyard, indoor dining, and a staircase to a rooftop patio bustling with live music. I opted for a seat on the ground level garden, cooled with misters and a shade canopy from the surrounding jungle of trees. My outdoor perch also allowed intimacy with the pub’s tropical rescue birds. This flock of brightly-feathered friends chattered happily as they climbed around their enclosures. 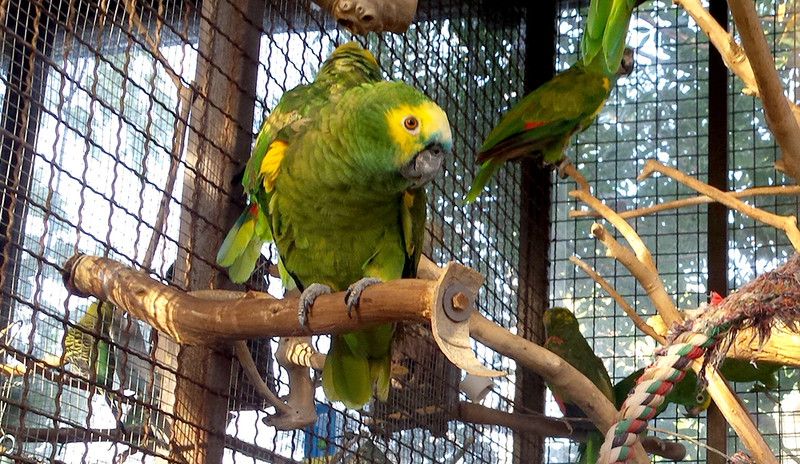 While I ordered, a blue macaw struck up conversation with the nearby hostess, exchanging a few “hello”s. My first taste of The Perch’s own tap was the Belgian Peach, a delightfully light and fruity brew fit for the tropical territory. Sampling my husband’s Uncommon Good IPA was a nicely bitter contrast and I loved the full hoppy flavor with our food. Our meals both featured fried eggs, an ultimate complement to melt-in-your-mouth meats. The Perch Burger was an artful stack of crunchy onion ring, egg, and meat, layered with a jalapeno marmalade. I was singing like the birds over my own Brick Oven Tamale. The plate was piled with delectable pork carnitas and soft poblano hash, all dressed up with a house red chile sauce and topped with egg. But my favorite part? The masa – sticky, crumbly, sweet tamale dough, with a little bit of a crust at the bottom. The Perch offers 5-ounce tastes, so we selected two more trials from the tap list with the intention of stepping outside our norm. I was recommended the Ginger Mofo and enjoyed a little blonde ale with a clean ginger kick. Our other choice was a gose, a sour German beer. The lime and salt taste was as intriguing as the name – the Perch Shamma Lime-A Lime-A Gose.